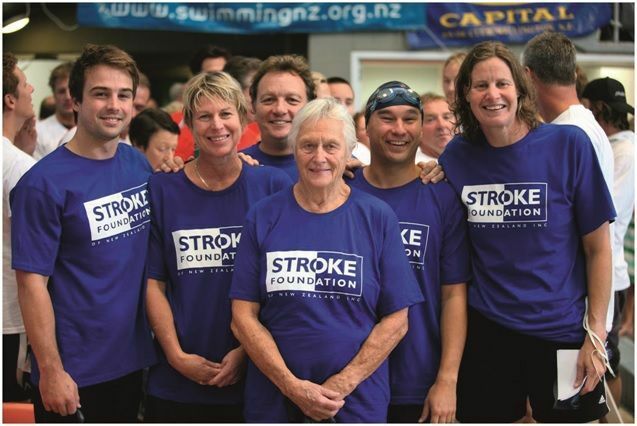 When you choose to support the Stroke Foundation of New Zealand you become part of a loyal army of people. We are the only national charity in New Zealand focused on preventing stroke, educating people to recognise stroke and treat it as a medical emergency, and working to improve access to high quality specialist stroke care. Providing crucial support and resources to stroke survivors and their families as they learn to cope with the life-changing disabilities that often follow a stroke. Running our annual “Down with Blood Pressure” campaign, providing free blood pressure checks and helping to educate New Zealanders that high blood pressure is the biggest preventable risk factor for stroke. Creating innovative stroke prevention programmes across the country, including projects within both Māori and Pacific communities, undertaking joint-funded initiatives with the Ministry of Health and clinical networks in improving outcomes for stroke survivors. But just as often stroke will seriously disable… In fact, here in New Zealand it is the leading cause of serious adult disability and can rob a person of their speech, their movement, their memory and their livelihood. Stroke devastates lives. It doesn’t just affect the person it happens to – it can also have a massive impact on friends and family.